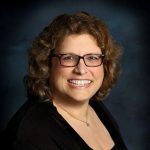 After graduating Temple University with a degree in Computer Science and Engineering, Pamela Danner joined Commodore Computers where she was a software engineer working on the Commodore 64 and Amiga personal computers. She then went to ADP Brokerage Information Services group, where she developed real time applications to automate stock market trading. The software that she developed was instrumental in automating the London and German Stock markets as part of the late 1980’s European financial markets degregulation and automation effort called the “Big Bang”. After ADP, Ms. Danner went to CSC consulting where she program managed several large global programs focused on implementing client server technology and web based computing for fortune 500 companies. The highlight of Ms. Danner’s career was the seven years she spent working for Sun Microsystems. While at Sun, she managed a number of programs for large telecomunications corporations, implementing Sun technology to automate the data center, create private cloud infrastructures to support wireless communications and implement technologies such as RFID for asset tracking. She continued her work with RFID and automated asset tracking at Iron Mountain, where she managed the program to implement tracking of client boxes from pick up on the client premises to storage and retrival from Iron Mountain facilities, thus ensuring a total and unbroken documented chain of custody for security purposes. After Iron Mountain, Ms. Danner worked for EMC corporation implementing programs for infrastructure and data center consolidation for global pharmaceutical corporations. When Ms. Danner first learned about the Affordable Care and related HITECH Acts, she realized that the healthcare industry was about to undergo as massive a change as she witnessed in Financial Services and again in Telecommunications. Wanting to be a part of this change, she became a Certified Electronic Health Records Specialist (CEHRS) and joined the IT management team at Elwyn, a human services non profit. At Elwyn, Ms. Danner has led the team that implemented the eClinicalWorks certified EHR and onboarded Elwyn to the South Eastern PA Health Information Exchange, (SEPA). Ms. Danner also represents Elwyn in HIMSS and the PA state eHealth Partnership Program.